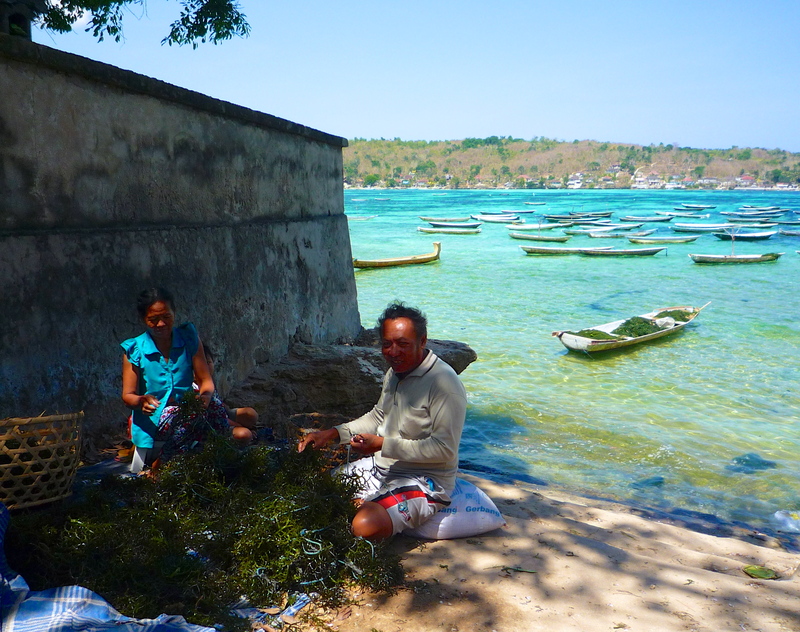 Life on Lembongan used to be all about seaweed farming, and rectangular plots of seaweed used to grow in shallow waters everywhere. Now it is less seaweed and more tourists. In Jungutbatu the seaweed plots have given way to tourist boat moorings. 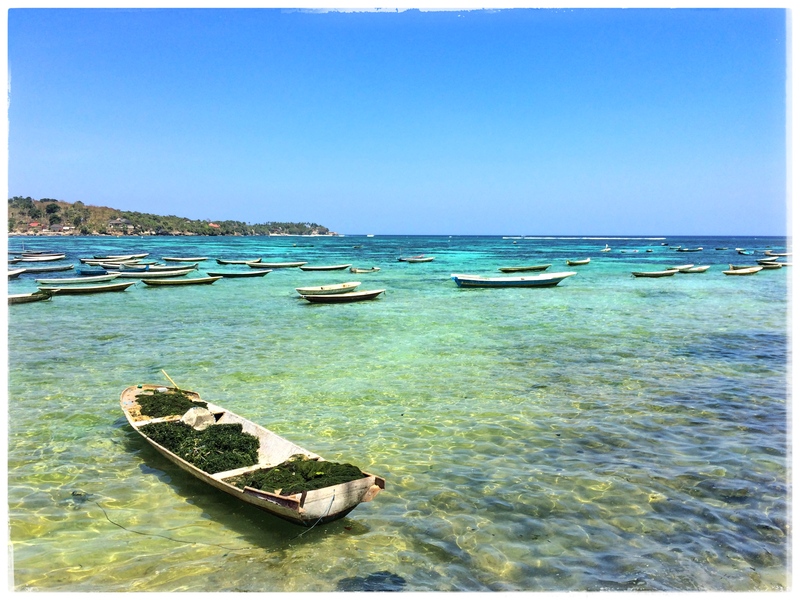 But in the strait between Lembongan and Ceningan islands one can still feel life before tourism. The brave ones can try seaweed cookies and even ice cream.